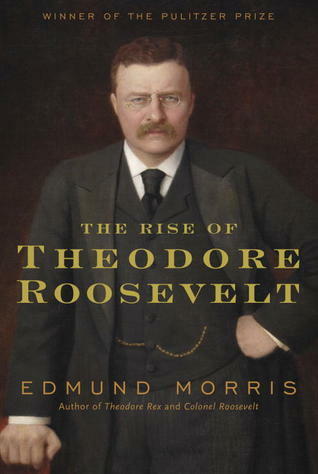 “The Rise of Theodore Roosevelt” is the first in a three-volume series by Edmund Morris about the life of the 26th president. Published in 1979, this Pulitzer Prize-winning volume remains widely-read and extremely popular. Morris is also well known for his controversial “Dutch: A Memoir of Ronald Reagan” and is currently working on a biography of Thomas Edison. This first volume covers Roosevelt’s pre-presidency thoroughly and with great vigor, beginning with his frail but stunningly precocious youth. Coverage is no less attentive as Theodore attends Harvard, enters politics as a New York state assemblyman and later heads west to become an ardent cowboy and rancher in the Dakotas. With a piercing eye for detail, and dramatics, Morris documents Roosevelt’s return to politics as a reform-minded public servant, first as a civil service commissioner and later as a New York City police commissioner. The narrative is no less thrilling during Roosevelt’s outspoken service as Assistant Secretary of the Navy or when he leads the “Rough Riders” in Cuba during war with Spain. The action moderates only slightly when he becomes Governor of New York and, soon thereafter, McKinley’s Vice President. To suggest that Morris admires his subject might be an understatement; he clearly views “TR” as an irresistibly compelling subject and portrays him with a charming reverence. But while some argue Morris is responsible for Roosevelt’s unjustified canonization, any hyperbole seems to reside only at the periphery. And Roosevelt himself supplied more than enough raw material for others to reach the same conclusions as Morris. With 741 pages, “The Rise of Theodore Roosevelt” is both detailed and lengthy. Unlike many popular narratives it does not effortlessly carry the reader downstream on a river of elegant prose; the text is sometimes awkward and unremitting. But Morris’s ability to colorfully describe a scene is remarkable. And even when sentences initially seem clunky or inelegant, they usually prove perfect in hindsight. The least exciting part of this volume may have been its most reflective and thoughtful: Morris’s analysis of Roosevelt’s extensive body of published works. Readers new to Roosevelt’s life will be surprised to learn he authored nearly three-dozen books during his lifetime, including one which became required reading on all US naval vessels. While I found this part of the discussion comparatively unexciting, Morris is too conscientious a biographer to allow the rush and blur of TR’s life to speed the story past this examination. The resulting literary and philosophical insights reveal aspects of Roosevelt’s character (and the evolution of his personality) which even Roosevelt himself may have never considered. Overall, this first volume to Edmund Morris’s series reviewing Theodore Roosevelt’s life is rewarding, fabulously detailed and insightful. Impatient readers, and those accustomed to effortless popular histories, may find it too lengthy. And at times Morris does seem too deferential to this larger-than-life figure. But as a comprehensive and fascinating introduction to Teddy Roosevelt, I can hardly imagine a better experience. Tackled this one last month. I found especially interesting because of how little most people know about TR’s early life. I had no idea about his first wife. Didn’t know anything about the civil service appointment in DC. It’s rather amazing how rapidly he cycled through events, jobs, and frankly life during those early years. I give a lot of points to Morris for managing to making the force of personality of TR leap off the page here, even if it was occasionally a little tedious in the “ok, why does this matter?” aspects. No question that I’ll be tracking down the next volume. For me, TR is one of those rare presidents who, in addition to having a rather interesting presidency, had an incredibly interesting pre- as well as post-presidency. And I think the Morris series captures that energy quite well. Enjoy!